Did you know that Australia has over 7,000 beaches? There are over 100 in Sydney alone and Australia has more beaches than any other nation in the world. The country's coastline is over 25,000 km long and 75% of all Aussies live within a one hour drive of the beach. No wonder they’re all so fit and healthy with golden tresses and bronzed bodies. It’s unsurprising that Australia is such a popular destination for us Brits who are looking for some glorious sunshine and world class beaches, particularly at this time of year! With so many beaches to chose from, this is by no means a definitive guide, but rather a snapshot of of the best beaches in Australia. We thought we’d kick off with one of the most famous and iconic Australian beaches: Bondi. 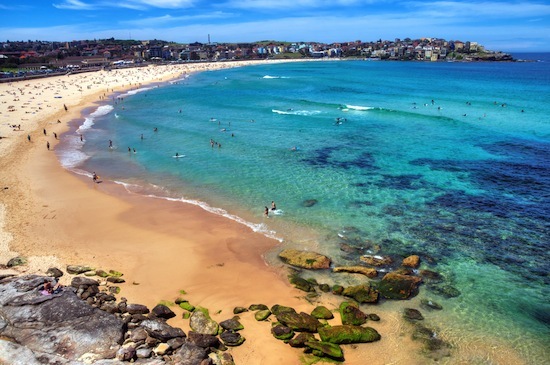 Located just outside of Sydney's city centre, Bondi is popular with tourists and is usually very crowded. It became so popular thanks to all the bars and restaurants surrounding the beach and was also the first beach to have a Surf Life Saving Club. Bondi may be busy and touristy but it’s well worth a visit. 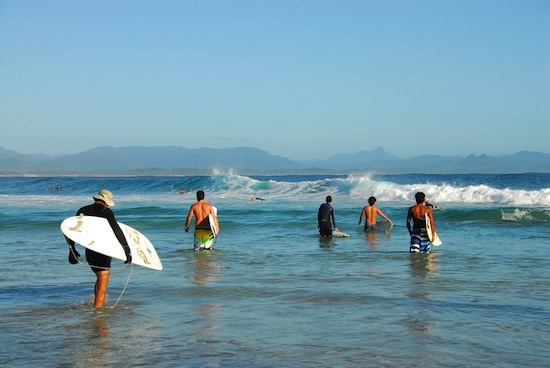 Byron Bay is another well-known beach in Australia thanks to the hippy vibe of the town. Backpackers have been attracted to the laid back atmosphere and the abundance of cafes and bars for years, and more recently a number of luxury hotels, bars and restaurants have cropped up to cater to those looking for a more indulgent break. There is also some great surf and unique places to stay...oh, and the beach isn't bad either. It’s hard to narrow down the beaches on the Great Barrier Reef because they’re all spectacular but Lizard Beach does have something extra special. There are actually 23 dazzling white beaches on Lizard Island so you won’t find any huge crowds or rowdy backpackers here. Fraser Island is the world’s largest sand island and the beaches here are all incredible. 75 Mile Beach is, rather unsurprisingly, 75 miles long but it is famous for the multi-coloured sands that stretch along those miles. 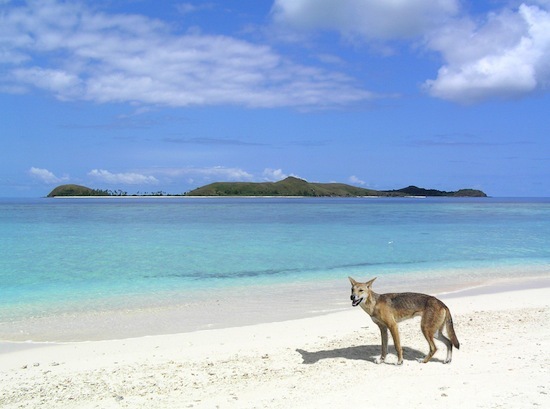 You’ll find ochre sand and bright white sand and everything in between including a huge range of oranges and yellows. 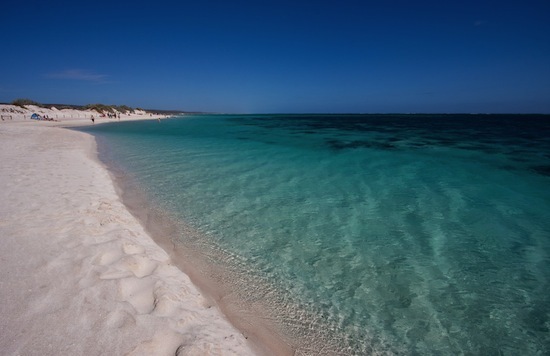 There are also the bright blue freshwater lakes that have made 75 Mile Beach so famous. 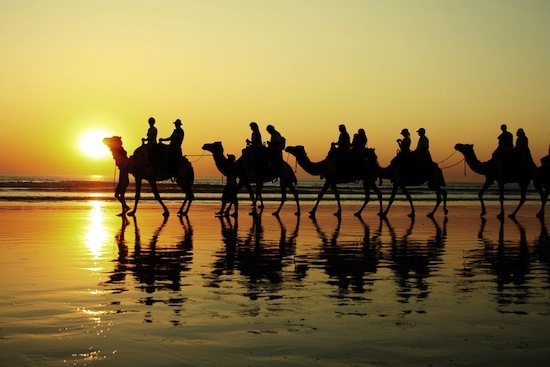 Up in Broome, Cable Beach has to be one of the most incredible places in Australia to watch the sunset. That’s a bold statement, I know, but it doesn't get much better than this. The perfect beach that seems to stretch on for as far as you can see makes the perfect canvas for the sun’s daily show. Add camels to the scene and you've got the perfect picture right there. 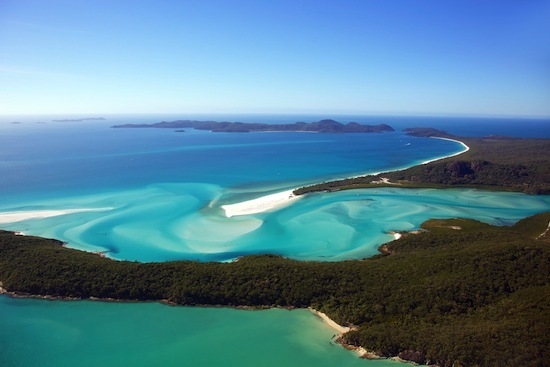 The image of Whitehaven Beach is often the picture that attracts people to the beaches in Australia. Arguably one of the best beaches in the world and the perfect poster for relaxing holidays in paradise, the sand is so fine and pure on Whitehaven Beach that is actually squeaks beneath your feet and is it said to be brilliant for cleaning jewellery due to the purity. It’s a shame that Exmouth isn't as popular with tourists as the east coast of Australia because it is one of the most stunning beaches in the country. Not only will you find pristine stretches of sand, but they’ll be almost deserted; there’s no fighting for a sun lounger around here. It’s the kind of place where the sea is so calm, clear and quiet that you barely need a snorkel and mask to see the fish. But if you’re the snorkelling type, you won’t be disappointed by the coral coastline. Lucky Bay makes it into our list of the best Australian beaches thanks to the sunbathing kangaroos who like to kick back and relax on these perfect white shores. And who can blame them? With unspoilt stretches of coastline and that sapphire sea, we wouldn't mind chilling out here for a few days ourselves. Palm Beach is in Northern Sydney, 41 kilometres outside of central Sydney. Not only is it a gorgeous beach but it has been attracting visitors, particularly British backpackers, for a very specific reason. 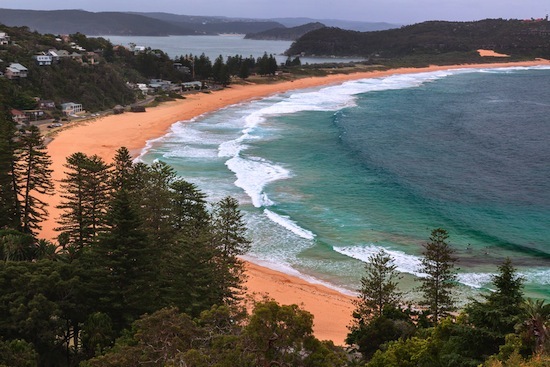 Palm Beach is used as the filming set for Summer Bay from the Australian soap opera, Home and Away. So if there are any daytime TV fans out there, you can’t miss a chance to see this beach; You never know, you might even bump into Alf Stewart. We’re leaving the 10th best beach in Australia up to you. 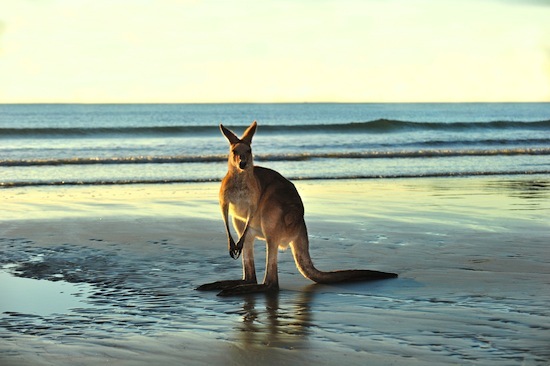 Can you tell us which is your favourite beach down under? Let us know in the comments below!